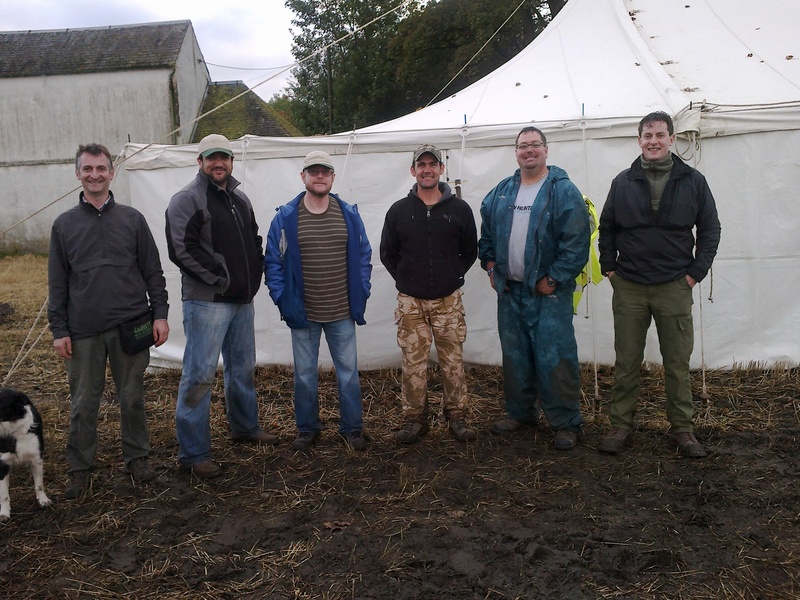 With his dealer cap off and detectorist cap firmly in place for the weekend Nigel, from Regton, attended Scotland’s largest EVER metal detecting event with detectorists attending from all over the globe. The four day 2011 Scottish rally in Linlithgow, near Edinburgh, ran from Thursday 30th September through to the Friday 4th October and raised nearly £900 for a local children’s charity. The first couple of days were blessed with the last of the good weather we had in September into October. Many finds were made by all those who attended including a cartwheel penny, a silver half crown and a post medieval book clasp! Highlights also included some dig attendees finding there first hammered or silver coin. 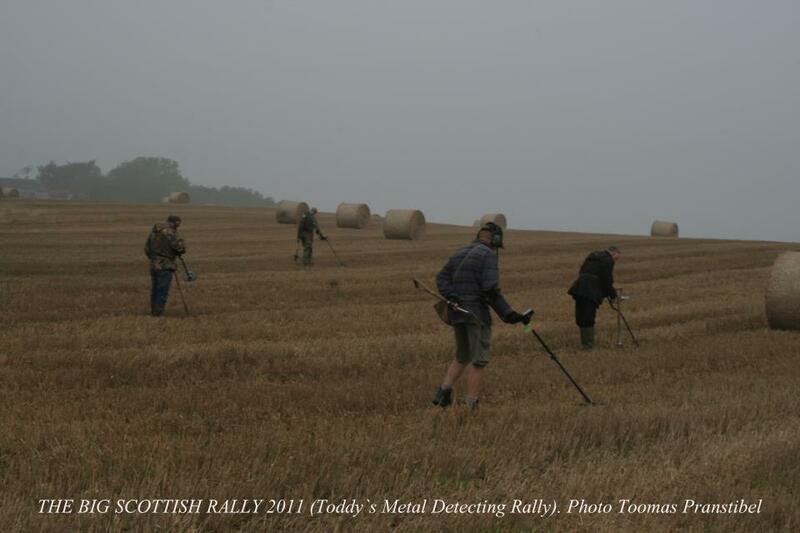 Detectorists in Scotland are normally far & wide making this rally an ideal opportunity for them to get together, many knew each other via the various forums so it’s always good to put a face to a name. Sadly Nigel was working in the shop on the Saturday so had to get up there on Sunday only to be met with 12 degrees colder thanBirminghamand a rally site that resembled theSomme…the rain had arrived! However they’re a hardy lot up North & thanks to the very generous use of various 4×4’s; disaster was prevented. Whilst up there he met up with three guys from the Teknetics factory who had flown in especially for the event, this made for some interesting conversations with the American accent verses the Scottish; Nigel was on hand to act as translator. Overall the event was a huge success, Toddy (Colin Irvine) and his team of helpers put on a splendid showcase for our hobby. ← Anyone think metal detecting is sad now?